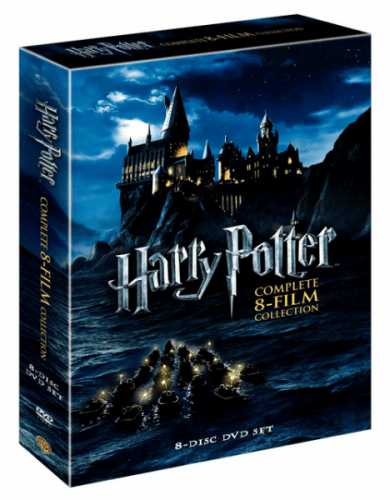 The Harry Potter: The Complete 8-Film Collection [DVD] (2011) is on sale for $33.49 at Amazon right now. That's 58% off the list price of $78.92! The The Dark Knight Trilogy (Batman Begins / The Dark Knight / The Dark Knight Rises) [Blu-ray] (2012) is on sale for $29.96 at Amazon right now. That's 43% off the list price of $52.99! The The Dark Knight Trilogy (Batman Begins / The Dark Knight / The Dark Knight Rises) [DVD] (2012) is on sale for $19.96 at Amazon right now. That's 49% off the list price of $38.99! The The Original Christmas Classics DVD Gift Set is on sale for $18.73 at Amazon right now. That's 49% off the list price of $36.66! The The Lord of the Rings: The Motion Picture Trilogy (The Fellowship of the Ring / The Two Towers / The Return of the King Extended Editions) [Blu-ray] (2012) is on sale for $57.85 at Amazon right now. That's 52% off the list price of $119.98! The The Carol Burnett Show: Carol's Favorites (DVD Collectors Edition) is on sale for $37.49 at Amazon right now. That's 37% off the list price of $59.95!